Today, sedentary lifestyle is a parasite responsible for several health conditions in the expanding urban populace worldwide. Modern modes of transportation that involve seating in a vehicle, long hours of desk job, and fast-paced life are related to pressure ulcers, also known as bed sores. An expanding geriatric population are also prone to bed sores due to prolong illness. The report provides an in-depth assessment of the pressure relief devices market over the forecast period. The report looks into each and every vital aspect with a strong focus on market dynamics, segmentation, and competitive landscape. The analysis of the market presented could serve as a useful instrument for market stakeholders. New entrants seeking entry in the market could leverage the analysis of the pressure relief devices market presented in this report. Firstly, the alarming rise in number of hospital acquired pressure ulcer as a secondary condition due to prolonged stay of patients in hospitals is driving the pressure relief devices market. Pressure-relieving devices such as mattresses, beds, splints, heel troughs, and pillows are used as part of the treatment to reduce the pressure on ulcers. Technological advancements have led to the advent of pressure relief devices, and the demand for special mattresses, overlays, and cushions that helps heal the affected site is rising at an unprecedented pace. Pressure ulcers require interdisciplinary approach for management and well-trained hospital staff. While some part of therapeutics remains common, the line of treatment also remains specific based on case-to-case. Pressure ulcers are preventable, and several campaigns have been launched to raise awareness abo tot the same. In the event of occurrence of pressure ulcers, most hospitals, care centers are equipped with the necessary equipment at all levels of care. In hospital settings, pressure ulcers are not restricted to the heels or bottom of the body. Medical-device related pressure injuries is increasingly becoming common. The site of pressure ulcer could be behind the patient’s ear from the oxygen cannula, or perineal injuries are also related to badly-placed catheter. According to a study carried out in Texas, 39% of all spinal cord injuries developed into pressure injuries at a later stage. The secondary condition is responsible for extending the hospital stay of patients to as much as 150 days, and costing US$150,000 to insurance companies. The key regions into which the global pressure relief devices market is divided are North America, Asia Pacific, Europe, Latin America, and the Middle East and Africa. North America holds supremacy among other key regions in the market. Nearly 18% of Americans will be the above the age of 65 years by 2025, says statistics. The aging population with a high risk of health conditions poses tremendous burden on the public healthcare system. This is displaying demand for pressure relief devices. At present, hospital acquired illnesses is a key threat to the entire healthcare system in the U.S., According to Centers for Medicare and Medicaid Services, pressure ranked are ranked fourth among other 14 hospital acquired illnesses in the U.S.
Asia Pacific, on the other hand, is anticipated to display leading growth rate over the forecast period. 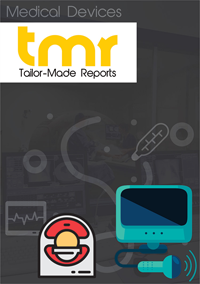 Key companies operating in the global pressure relief devices market are ArjoHuntleigh, Hill-Rom Holdings Inc., Acelity, Talley Group Ltd., BSN Medical Inc., PARAMOUNT BED HOLDINGS CO., and Invacare Corporation. New product launch for business growth is the focus of top companies in the pressure relief devices market. Partnerships and mergers and acquisitions also mark the growth agenda of top companies in this market.